Are you searching for the list of schools currently selling post UTME forms? If yes, your search ends here. 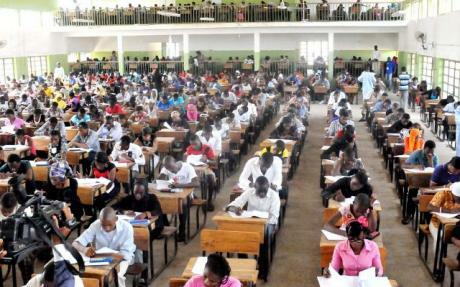 Get latest Post UTME Screening updates of all tertiary institutions in Nigeria from this page. We update this page as soon as the Post UTME forms of various institutions in Nigeria are released. If you want to be the first to know when the institutions of your choice release their Post UTME screening exercise application form? This page is all you need. Post UTME of various tertiary institutions in Nigeria are published here for free. If you don’t want to miss out, bookmark this page and keep checking back. Nigerian Universities don’t have any outside agent to help with the 2018/2019 admission exercise. The use of such agent is at candidate’s own risk and candidates should desist from using third party in processing their applications. Post UTME : Universities Selling Forms. Air Force Institute of Technology – AFIT post UTME – 2018/2019. FCE (Special) Oyo Affiliated to UI Post-UTME/DE Screening Form – 2018/2019. College of Education Ikere-Ekiti – COEIKERE Post UTME – 2018/2019 (DEGREE). Adeyemi College Of Education, Ondo State – ACEONDO Post UTME – 2018/2019 (DEGREE). Kogi State University – KSU Post UTME – 2018/2019. Federal University of Technology, Minna – FUTMINNA Post UTME – 2018/2019. Elizade University Post UTME – 2018/2019. UI Affiliated Institutions Post UTME – 2018/2019 (14 Institutions). University of Jos – UNIJOS post UTME – 2018/2019. Federal University Lafia – FULAFIA post UTME – 2018/2019. University of Abuja – UNIABUJA Post UTME – 2018/2019. Sokoto State University – SSU post UTME – 2018/2019. Kebbi State University of Science and Technology, Aliero – KSUSTA post UTME– 2018/2019. Nnamdi Azikiwe University – UNIZIK post UTME – 2018/2019. Federal University of Agriculture, Abeokuta – FUNAAB post UTME – 2018/2019. Nasarawa State University, Keffi – NSUK Post UTME – 2018/2019. Federal University Gusau – FUGUS post UTME – 2018/2019. Federal University of Petroleum Resources, Effurun – FUPRE Post UTME – 2018/2019. Obafemi Awolowo University – OAU Post UTME – 2018/2019. Kaduna Polytechnic – KADPOLY Post UTME (DEGREE) – 2018/2019. Federal University Wukari, FUWUKARI Post UTME – 2018/2019. Federal University Dutse – FUD post UTME – 2018/2019. Adekunle Ajasin University, Akungba-Akoko – AAUA Post UTME – 2018/2019. Ondo State University of Science and Technology – OSUSTECH Post UTME – 2018/2019. Sule Lamido University – SLU Post UTME – 2018/2019. Ahmadu Bello University – ABU Post UTME – 2018/2019. Ibrahim Badamasi Babangida University – IBBU Post UTME – 2018/2019. Modibbo Adama University of Technology – MAUTECH Post UTME – 2018/2019. University of Ilorin – UNILORIN Post UTME – 2018/2019. Nwafor Orizu College of Education, Nsugbe – NOCEN DEGREE Post UTME – 2018/2019. Ekiti State University – EKSU Post UTME – 2018/2019. Pan-Atlantic University – PAU Post UTME – 2018/2019. University of Lagos – UNILAG Post UTME – 2018/2019. Imo State University – IMSU Post UTME – 2018/2019. Abubakar Tafawa Balewa University – ATBU Post UTME – 2018/2019. Niger Delta University – NDU Post UTME – 2018/2019. Enugu State University of Science and Technology – ESUT Post UTME – 2018/2019. Osun State University – UNIOSUN Post UTME – 2018/2019. Federal University Lokoja – FULOKOJA Post UTME – 2018/2019. Federal University, Kashere – FUKASHERE Post UTME – 2018/2019. Federal University of Oye-Ekiti – FUOYE Post UTME – 2018/2019. Rivers State University of Science and Technology – RSUST Post UTME – 2018/2019. University of Medical Sciences – UNIMED Post UTME – 2018/2019. Kaduna State University – KASU Post UTME – 2018/2019. Federal University Birnin Kebbi – FUBK Post UTME – 2018/2019. Umaru Musa Yar’adua University — UMYU Post UTME – 2018/2019. Alvan Ikoku College of Education — AIFCE Post UTME (DEGREE) – 2018/2019. Yobe State University — YSU Post UTME – 2018/2019. Northwest University — NWU Post UTME – 2018/2019. Ladoke Akintola University of Technology — LAUTECH Post UTME – 2018/2019. Federal University of Technology, Akure — FUTA Post UTME – 2018/2019. University of Calabar — UNICAL Post UTME – 2018/2019. Taraba State University – TASU Post UTME – 2018/2019. University of Ibadan — UI Post UTME – 2018/2019. Bayero University, Kano — BUK Post UTME – 2018/2019. Bauchi State University, Gadau — BASUG Post UTME – 2018/2019. Ambrose Alli University — AAU Post UTME – 2018/2019. Michael Okpara University of Agriculture, Umudike — MOUAU Post UTME – 2018/2019. Arthur Jarvis University — AJU Post UTME – 2018/2019. Ignatius Ajuru University of Education — IAUE Post UTME — 2018/2019. Veritas University Post UTME — 2018/2019. University of Port Harcourt — UNIPORT Post UTME – 2018/2019. University of Maiduguri — UNIMAID Post UTME – 2018/2019. Olabisi Onabanjo University — OOU Post UTME – 2018/2019. University of Uyo — UNIUYO Post UTME – 2018/2019. Federal University, Dutsin-Ma — FUDMA Post UTME – 2018/2019. Abia State University — ABSU Post UTME – 2018/2019. Gombe State University — GSU Post UTME – 2018/2019. University of Nigeria, Nsukka — UNN Post UTME – 2018/2019. University of Benin — UNIBEN Post UTME – 2018/2019. Federal University of Technology, Owerri — FUTO Post UTME – 2018/2019. Madonna University — MU Post UTME – 2018/2019. Achievers University, Owo — AUO Post UTME – 2018/2019. Cross River University of Technology — CRUTECH Post UTME – 2018/2019. Delta State University, Abraka — DELSU Post UTME – 2018/2019. Wesley University Post UTME Form – 2018/2019. Akwa Ibom State University — AKSU Post UTME — 2018/2019. Godfrey Okoye University – GOUNI Post UTME – 2018/2019. Summit University, Offa – SUNO Post UTME – 2018/2019. KolaDaisi University – KDU Post UTME – 2018/2019. Crescent University – CUAB Post UTME – 2018/2019. Afe Babalola University – ABUAD Post UTME – 2018/2019. Anchor University Lagos – AUL Post UTME – 2018/2019. Nile University of Nigeria – NUN Post UTME – 2018/2019. Ajayi Crowther University- ACU Post UTME – 2018/2019. Kwara State University – KWASU Post UTME – 2018/2019. Covenant University Post UTME – 2018/2019. Bowen University Post UTME – 2018/2019. Landmark University – LMU Post UTME – 2018/2019. Babcock University Post UTME – 2018/2019. Post UTME : Polytechnics/Monotechnics Selling Forms. Nigerian College of Aviation Technology – NCAT post UTME – 2018/2019. Federal Polytechnic, Bauchi – FPTB post UTME – 2018/2019. FCE (Special) Oyo Post UTME Form – 2018/2019. Kwara State Polytechnic – KWARAPOLY Post UTME – 2018/2019. Federal Polytechnic of Oil & Gas, Bonny Post UTME – 2018/2019. Wavecrest College of Hospitality – WCH Post UTME – 2018/2019. Federal College of Education (Technical) – FCETUmunze Post UTME – 2018/2019. Federal Co-operative College, Ibadan – FCCIBADAN Post UTME – 2018/2019. Federal College of Agriculture, Akure – FECA post UTME -2018/2019. Federal College of Fisheries and Marine Technology – FCFMT post UTME – 2018/2019. Jigawa State Polytechnic – JIGPOLY Post UTME – 2018/2019. Institute Of Management and Technology – IMT Post UTME – 2018/2019. Federal Polytechnic Oko – Oko Poly Post UTME – 2018/2019. Federal Polytechnic, Offa – OFFAPOLY Post UTME – 2018/2019. Polytechnic Ibadan – Ibadan Poly Post UTME – 2018/2019. Akwa Ibom State Polytechnic – AKWAIBOMPOLY Post UTME – 2018/2019. The Oke-Ogun Polytechnic Saki — TOPS Post UTME – 2018/2019. Akanu Ibiam Federal Polytechnic, Unwana – Unwana Poly Post UTME – 2018/2019. Petroleum Training Institute — PTI Post UTME – 2018/2019. Kogi State Polytechnic — KSP Post UTME – 2018/2019. Nasarawa State Polytechnic — NASPOLY Post UTME – 2018/2019. Federal Polytechnic Bida — BIDAPOLY Post UTME – 2018/2019. Delta State Polytechnic Ogwashi-Uku – DSPG Post UTME – 2018/2019. Federal Polytechnic Ede — Ede Poly Post UTME — 2018/2019. Edo State Polytechnic Post UTME – 2018/2019. Nuhu Bamalli Polytechnic — NUBAPOLY Post UTME – 2018/2019. Federal Polytechnic Nekede, Owerri — FPNO Post UTME – 2018/2019. Imo State Polytechnic — IMOPOLY Post UTME – 2018/2019. Lagos State Polytechnic — LASPOTECH Post UTME – 2018/2019. University of Benin Teaching Hospital, UBTH School of Health Information Management — UBTH Post UTME – 2018/2019. Federal Polytechnic Ilaro – ILAROPOLY Post UTME — 2018/2019. Crown Polytechnic Post UTME – 2018/2019. Nigerian Institute of Journalism – NIJ Post UTME – 2018/2019. Post UTME : Colleges of Education Selling Forms. FCT College of Education, Zuba – FCECOEZUBA Post UTME – 2018/2019. Nwafor Orizu College of Education, Nsugbe – NOCEN NCE Post UTME – 2018/2019. Federal College of Education, Eha-Amufu – FCE Eha-Amufu Post UTME – 2018/2019. Tai Solarin College of Education – TASCE Post UTME Form – 2018/2019. Alvan Ikoku College of Education — AIFCE Post UTME (NCE) – 2018/2019. Usmanu Danfodiyo University Teaching Hospital (UDUTH) School of Health Information Management – UDUTH SHIM Post UTME Form – 2018/2019. Distinct Institute of Management Science Post UTME Form – 2018/2019. OAU Teaching Hospitals Complex – OAUTHC Post UTME – 2018/2019. College of Health Technology Calabar – CHT Post UTME – 2018/2019. Ogun State College Of Health Technology – OSCOHTECH Post UTME – 2018/2019. You can also subscribe to our latest updates with your email using the subscription box below.